In the past few years, eyebrow fashion has undergone significant changes. Replaced eyebrow-thread, neatly plucked and outlined pencil, came graphic eyebrows. But they did not long lead the fashion pedestal. The fashion for wide eyebrows appeared 10 years ago on the catwalks, now this trend has reached the level of must have . The most current trend today is naturalness, which could not get around such an “accessory” as eyebrows. Today we will talk about fashionable eyebrows - thick, wide, natural and all sorts of ways to make them so. 1.Genetically determined moment. Take a look at your mom's eyebrows, look at your grandmother's girlhood photo. If your relatives always had naturally thin and rare eyebrows, then you are unlikely to succeed in growing them like in the Polynesian islands. But do not be discouraged, something can still be done, read about it below. 2.Eyebrows also need care , as well as hair, skin and eyelashes. If you do not pay them attention at all, then do not expect that in a week you will become the owner of gorgeous eyebrows. 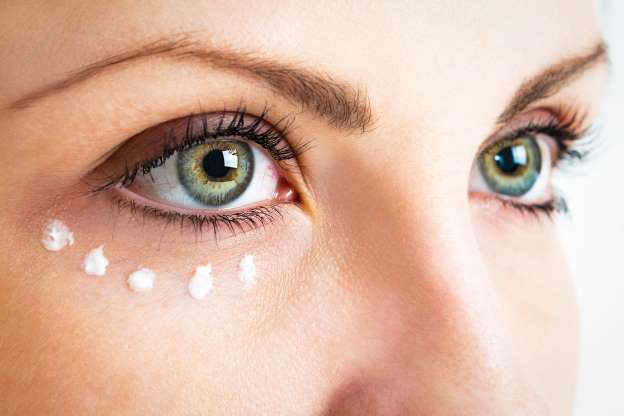 About different masks and oils for the eyebrows and the impact of cosmetic and therapeutic agents on them will tell in our article. 3.Frequent eyebrow dyeing can also lead to hair loss and slower growth, especially if a rather aggressive dye was chosen. Daily use of non-professional eyebrow cosmetics can also aggravate the situation. 4.Eyebrows do not grow even after tattooing , especially if a harmful pigment was injected into the skin, which led to the fading of hair growth. 1.Tweezers - the worst enemy of the eyebrows . And if there is a hard perechip from the time of the school years, when thin eyebrows were at the height of fashion, then in a matter of days, thick eyebrows will not grow. 2.Unhealthy diet detrimental effect not only on the condition and health of hair, skin, but also causes a weak growth of eyebrows. 3.The individual factor is the possible presence of any diseases or disruptions at the hormonal level. It also happens in pregnant women, nursing mothers and teenagers - when hormonal surges are most noticeable. Sometimes it seems that eyebrows grow very slowly, but this is not so: depending on the genotype, the eyebrow hairs after pulling out grow 5 days on average by 1 mm. In hot weather, eyebrow growth accelerates. Not the last role in the care of the eyebrows is the use of oils. We know that castor oil is actively used to impart thickness and length to cilia, it also acts on the eyebrows. It prevents hair loss, strengthens hairs, making them thicker, helps to increase their volume, prevents breakage and dryness. For a tangible effect, castor oil is applied daily to the eyebrows with a brush (you can borrow from the old mascara) overnight, and in the morning it is washed off with a special tool or tonic. An excellent effect is the addition to the castor oil of vitamins A or E in liquid form. 1.The oil warmed in a water bath (brought to t = 40-50 ° C) is rubbed into the eyebrows before bedtime, not just applied to the hairs, but rubbed into the skin. 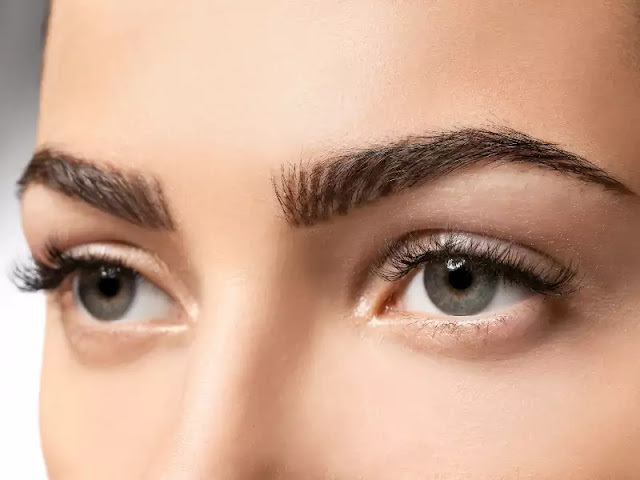 2.To increase the density of eyebrows means it is important to carefully distribute the tears - areas of eyebrows in which the hairs fell out or are missing. 3.After applying the oil, finger pads and light massage are performed with finger pads. 4.For convenience and additional warming up of the eyebrow area, cover the eyebrows with cotton swabs. 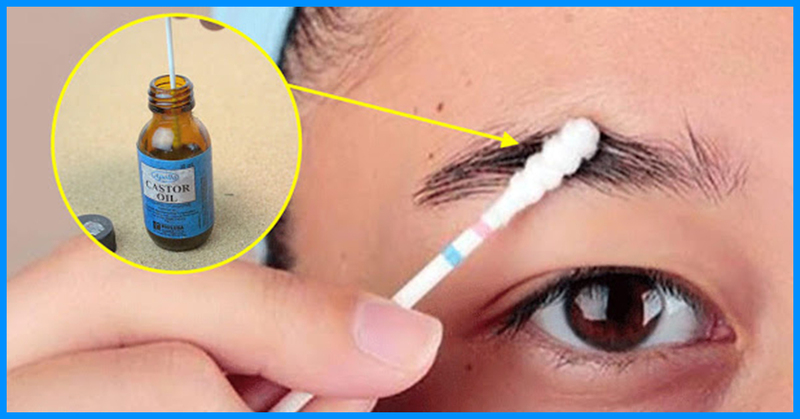 5.Clean eyebrows from oil with make-up remover milk or, if you do not use such a tool, apply regular shampoo. To enhance the effect of usma oil, make firming and moisturizing eyebrow masks with the addition of other activating oils: burdock, castor, jojoba, almond, olive and camphor, and also dilute their composition with vitamins A and E for hair growth.